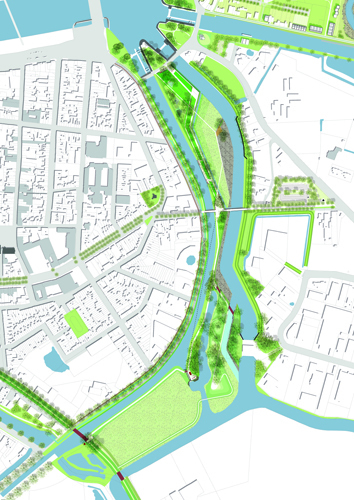 This master plan gives shape to the future development of the creek area with the aim of reinforcing the relationship between the city, the river Yser and the surrounding landscape. The plan takes the complex water system as a starting point and searches for ways to give water a more meaningful and active role in the city. On the one hand, a resilient water system is designed to help the city face the challenges caused by climate change. 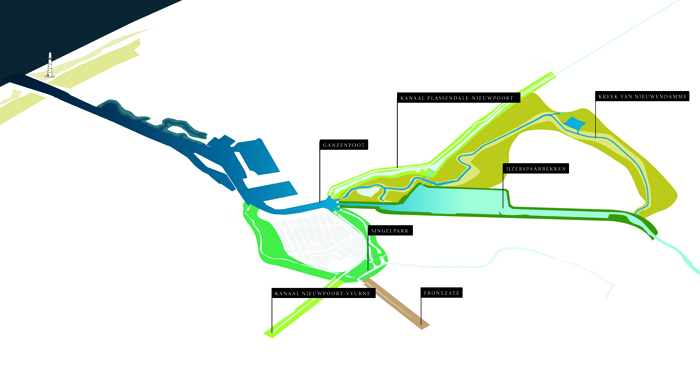 On the other hand, a contemporary water structure is defined to catalyze and structure future developments and recreational activities in the area. Sports and recreation are important themes in the master plan. Missing links in the recreational network are resolved, the relationship between the urban development and the landscape is strengthened, the accessibility is improved with more attention to active modes and the coherence of future developments is guaranteed with clear and recognizable image quality guidelines and a spatial framework that takes the qualities of the underlying landscape into account. 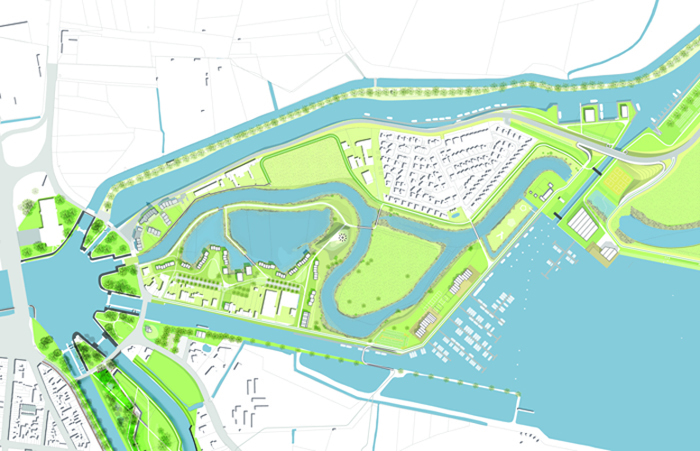 The master plan will be used as base for a land-use plan. 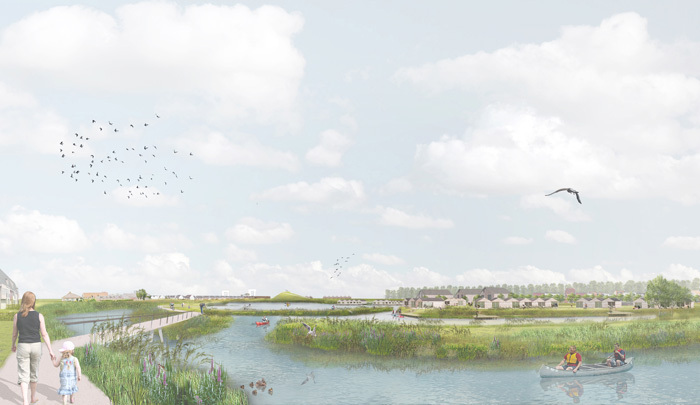 The team, consisting of BRUT and LAMA landscape architects, won the competition (Oproep Winvorm) commissioned by the Province of West Flanders in collaboration with the City of Nieuwpoort. A broad group of stakeholders was involved during the process, including a water advisory board and a general advisory board. Landowners and different organizations active in the project zone were consulted on their needs and observations about the propositions of the plan during two rounds of speed dates.